Don't know where to start looking? Don't worry we are a FREE Expert Venue Finding service and are here to help! 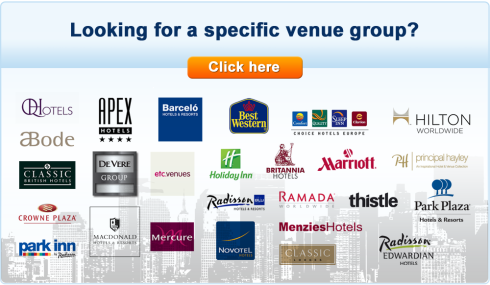 If you would prefer to make your own arrangements, you can enquire directly with the venues featured on this website. Simply select the option 'direct' on the enquiry pages. 1. We interpret your meeting conference requirements. 2. We go to work and find venues that ideally suit your requirements. 3. We provide you with a proposal with all your venue options and our recommendations. 4. We arrange venue viewings if required. 5. We arrange the booking details with the venue and check contracts for you. 6. This is what our clients have to say about us.